BMW has upgraded the BMW i3 battery pack to cells with 120 Ah capacity, and a total energy capacity of 42 kiloWatt-hours. Because the i3 is built with carbon-fiber its energy efficiency is vastly superior to all other electric cars, giving the i3 more driving range than implied by the 42 kWh pack, or a total expected driving range of 260 kiloMeters. That&apos;s a 30% improvement over previous model years. BMW&apos;s electric maxi-scooter, the BMW C Evolution, is being deployed in Berlin for a guided tour service. For just 49 euros, you get to experience riding an electric maxi-scooter while being guided through the sights of Berlin and potentially surrounding areas like the Harz mountains. BMW is unveiling an updated version of the BMW X5 Plug-in Hybrid SUV. It is primarily a fossil-fuel powered SUV, with electric assist and a meager all-electric range. Nissan and BMW partner once again to expand DC Fast Charger access across the U.S. to benefit EV drivers: More expansion of dual-protocol DC fast chargers is coming, with continued partnership between BMW and Nissan. 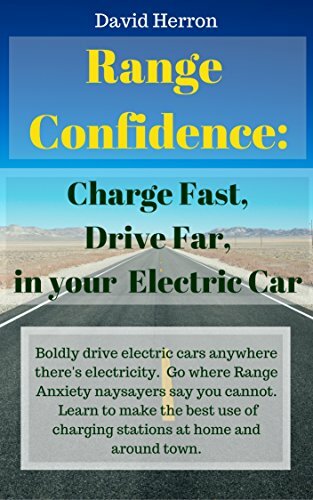 The 50 kW charging rate won&apos;t provide good service to the coming 200+ mile range electric cars, since a full recharge at 50 kW is 1.5 to 2 hrs. Will eVgo realize this and upgrade to 100 kW or faster chargers eventually? And, will eVgo change their policies to allow charging sessions longer than 30 minutes? The attached map doesn&apos;t indicate they&apos;re thinking about long distance travel corridors either.